Latest Trump Travel Ban Loses in Appeals CourtBut, ultimately, the Supreme Court will decide whether the law stays or goes. SCOTUS Gives Trump Administration Green Light on Travel Ban, for NowIt’s a great day for xenophobia. Here Are 4 Ways the Supreme Court Might Handle Trump’s Travel BanAll are plausible, but they would create vastly different outcomes. After Another Setback, Only the Supreme Court Can Save Trump’s Travel Ban NowAt least one of two national injunctions against enforcement of the travel ban will be left in place by higher courts. SCOTUS is Trump’s last chance. Bella Hadid Says She’s Proud to Be MuslimThe model opened up about her faith in a new interview. Check Out This ‘Banned Countries Dinner Series’The first, on March 21, celebrates the Persian New Year. Trump’s Hard Road Ahead to Save His Travel BanShort of surrendering and doing without a temporary travel ban, Trump may have to go to the Supreme Court to get his way — even then, it’s iffy. The State Department Has Revoked Tens of Thousands of Visas Due to Travel BanEarlier this week, the White House said that only “109 people were affected and slowed down in their travel” by the ban. 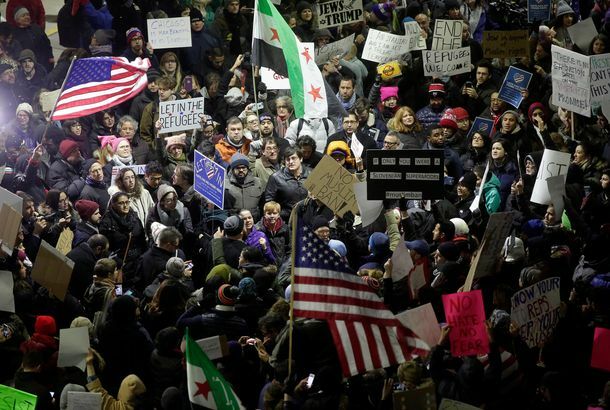 Bandcamp Will Donate All Proceeds From Sales Made This Friday to ACLUThe decision was made after President Trump’s immigration ban. 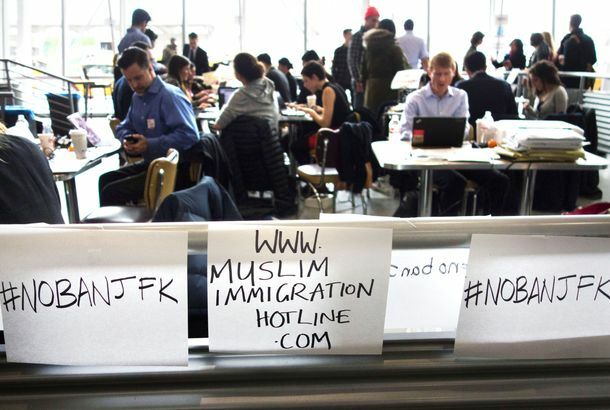 24 Hours at JFK: The Hour-by-Hour Account of Two Iraqis’ Detainment and ReleaseThanks to a team of lawyers operating on no sleep, two persistent New York representatives, and a huge mass of spontaneous protesters. James Corden Condemns Trump’s Anti-Muslim BanA rare political statement from The Late Late Show host. Ellen Uses Finding Dory to Explain Muslim BanRemember the part about the wall? Trump Has Made Up At Least 4 Lies About His Refugee BanThe only purpose of this policy is to retroactively justify Trump’s campaign fearmongering. Bruce Springsteen Speaks Out Against Muslim BanHe also dedicated “American Land” to immigrants. 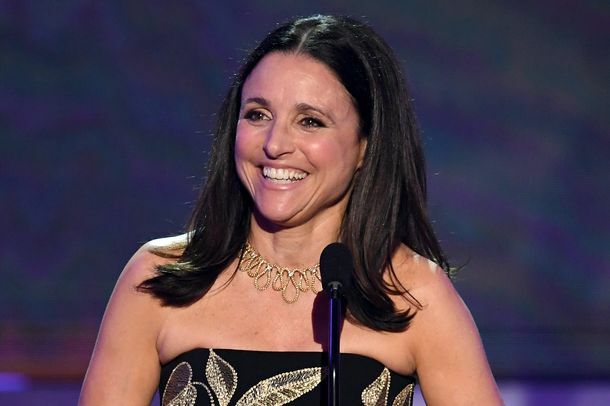 Julia Louis-Dreyfus at SAG Awards: Trump’s Immigration Ban Is ‘Un-American’The Veep star used her speech at the SAG Awards as a platform to condemn the president’s immigration ban. White Helmets: Syrian Heroes Won’t Be at OscarsThe documentary’s subjects are Nobel Peace Prize–nominated humanitarian rescuers. Sia, Judd Apatow Match Donations to ACLUWell done. Obama’s America Rises AgainIt turns out to be Trump who does not understand this country. Priebus Says Green-Card Holders Exempt From Entry Ban, Contradicting White HouseCount the Trump administration among those who don’t seem to understand the president’s new executive order. Celebrities Condemn Trump’s Muslim BanFrom fundraising to boycotting the Oscars, celebs are taking action. Kal Penn Turns Racist Trolling Into FundraiserPutting the fun back in fundraising. Hate Crimes Against Muslims Increased by 67 Percent Last YearIn 2015, hate crimes against Muslims reached their highest levels since the aftermath of the 9/11 attacks, according to new FBI data.